We love our chins, and so will you! Here at Blue Moon Chinchillas we feed our precious fur balls only the best!Mazuri Pellets for chinchillas, as well as Calf Manna supplement. You can find out where we buy these products on our Pet Links Page. We have a new addition to our small herd, a beautiful homo ebony female. NOTE: She is "NOT" for sale. Her picture was added to our meet our chins page. Please note we have noticed, to our horror, that some of the adds listed on our web site are for fur coats! 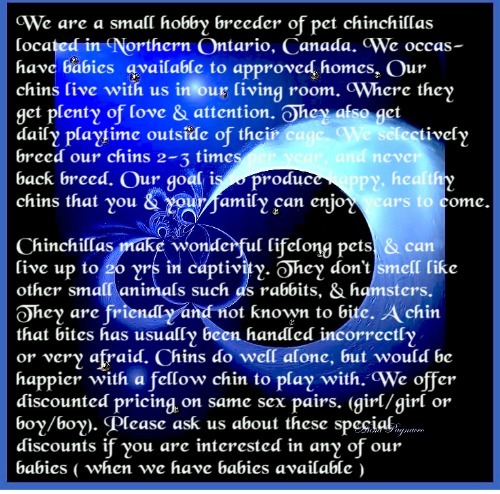 Blue Moon Chinchillas ABSOLUTELY IN "NO" WAY supports the fur industry. Please do not buy fur items, animals are meant to be enjoyed alive, not on someone's back. We apologize for these adds, we have no way to rid ourselves of them ,however, as they are part of our web service provider. Webmaster Make Money With Your Site! 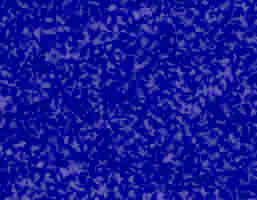 How do you rate this site ? 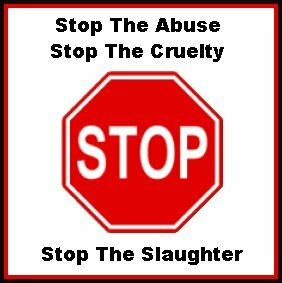 Please do not support the slaughter of animals by buying items made from their skins.